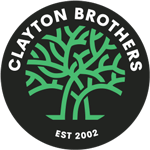 We are Clayton Brothers, providing high quality and affordable tree maintenance and landscaping services to both domestic and commercial clients. With years of experience, a wealth of technical knowledge and an ever-growing list of accreditations, our team are passionate about achieving the highest level of excellence for both commercial and domestic services. Professional and experienced tree surgeons. Bespoke domestic landscaping maintenance services. Quality, affordable commercial landscape maintenance. If you have hedges that you can’t trim or maintain yourself, or would rather leave it to a professional, then Clayton Brothers are here to help. We offer hedge hedge trimming services to all of our clients; both commercial and residential properties. For more information, contact us today for your free quote. Using our powerful stump grinding machine, we can remove any size tree stump. Our top quality machinery means that we can grind down the stumps with minimal disturbance to the surrounding ground. Upon completion, we will fill the newly created hole in with soil or grind waste to ensure that you left with a level surface. We take pride in guaranteeing outstanding customer satisfaction and exceptional customer service to all of our clients. All of our work is performed to the highest standard in order to maintain our triumphant reputation. I received an extremely prompt reply to my initial enquiry about having a large tree taken down. The team then worked really hard to take down the tree in my very small garden. They then left it super tidy (tidier than it was before, embarrassingly) when they had finished up. 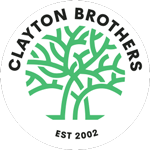 Clayton Brothers were a delight to work with and without a doubt, I would recommend.